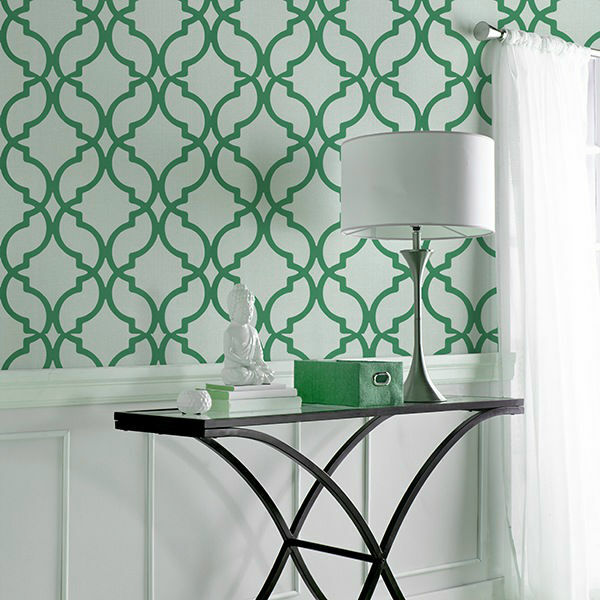 Pantone has named Emerald Green the 2013 colour of the year. This gorgeous colour has been popping up on runways, already gaining popularity for fashion, jewellery and even cars! But it’s also starting to make its way into people’s homes. Emerald Green can be a little intimidating to infuse into your home décor and will certainly push the comfort level for many home owners. But with the right accessories and colour combinations, it can really add some punch, elegance or exotic flair to any room. 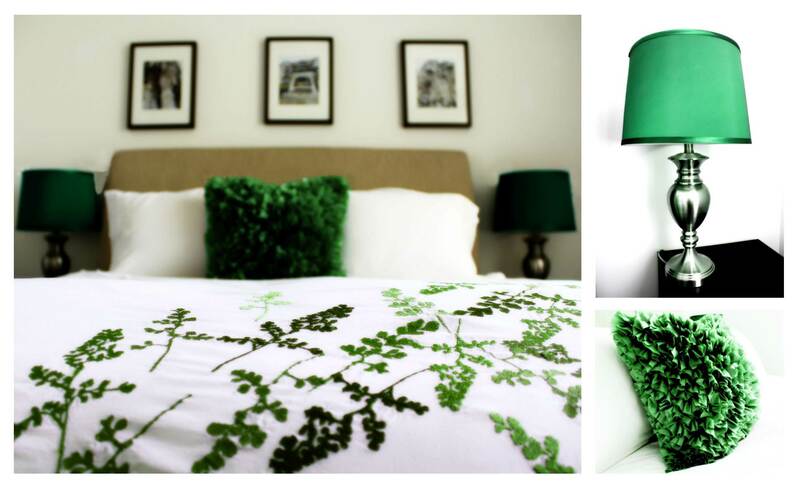 I have infused green in my bedroom through simple bedding with subtle green embroidery, lamp shades and a throw pillow. Because the rest of my décor is neutral, this pop of colour makes it feel fresh and cheerful. If you want to try infusing a little green into your home, here’s 5 easy and inexpensive ways to freshen up your home. Throw pillows and blankets are a very easy and inexpensive way to freshen up your home and keep it trendy. Use them on accent chairs, your sofa or your bed for an updated look every season. 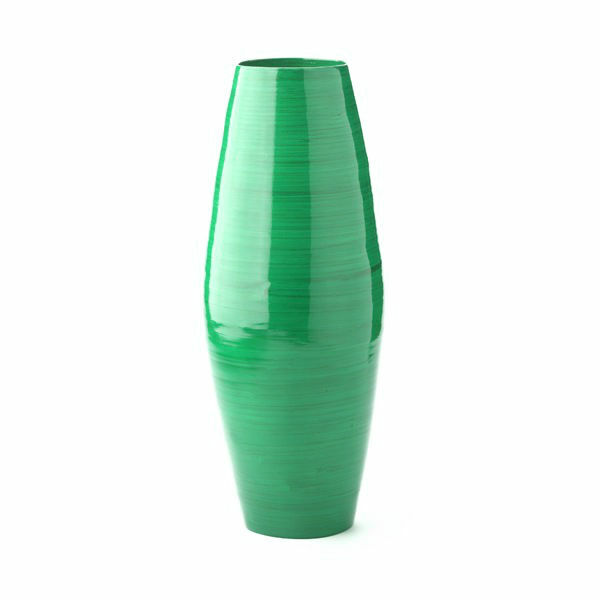 Vases are another great way to accent your home with the colour of the season. Clustering three small vases of different shades, shapes and heights is a great way to add visual interest to a table or a book shelf. Candle holders come in a variety of beautiful shapes and sizes. 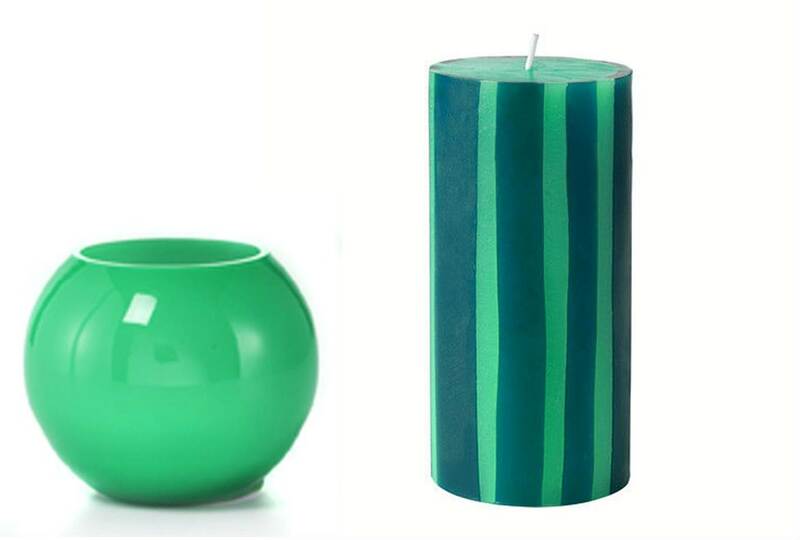 From tea lights to gorgeous pedestal candle holders, they are a great way to refresh any space with new colours. If you have a large ottoman in your living room, an emerald green serving tray is another great way to add the pop of colour. For those of you with the courage to be bolder, emerald green wallpaper or a strategically selected emerald green accent wall is also a beautiful way to bring the colour into your home. For more inspiration, colour pallets and bold ideas, check out http://canadianhometrends.com/emerald-green-colour-palettes/.